What’s your wedding look? 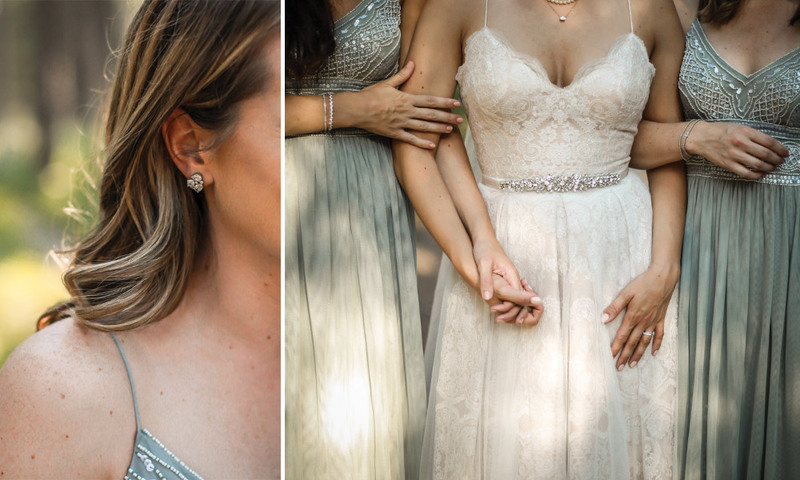 From glam and bold to rustic and simple, we love how these real couples infused their unique personalities into their wedding days. 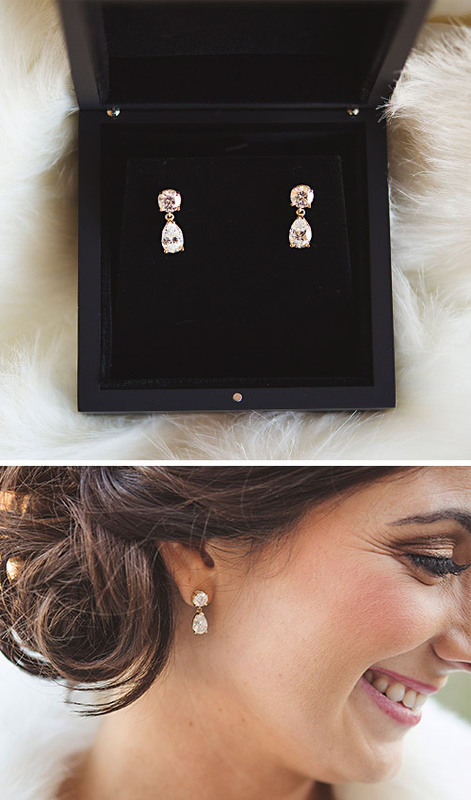 Get inspired by their beauty, and see how they used Diamond Nexus jewelry to add the perfect amount of sparkle to the day. The simple, nature-inspired vibe of these nuptials was perfectly complemented by natural wildflowers and understated jewelry. 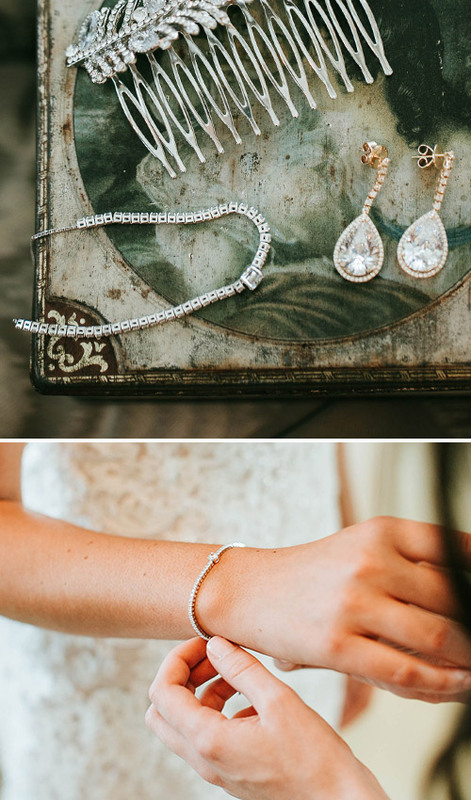 The bride’s stack of slender Bound Bracelets perfectly accentuated her simple, elegant gown. This New Year’s Eve extravaganza went all out! Marina integrated Diamond Nexus pieces into the glitzy, glamorous look. Love her stunning hairpiece? You can design your own in our custom design studio—yes, we do more than custom rings! 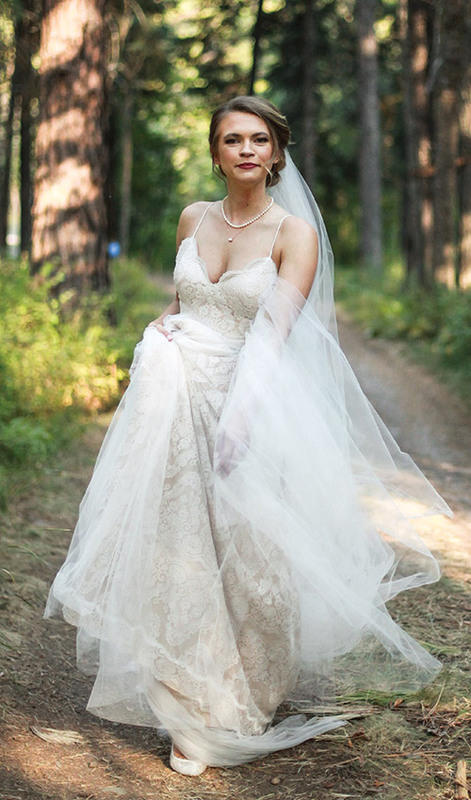 The rustic, outdoorsy setting in Glacier National Park was accented by simple, modern jewelry. The bride layered an heirloom pearl necklaces with an East-West Emerald necklace to create a meaningful and personal look. 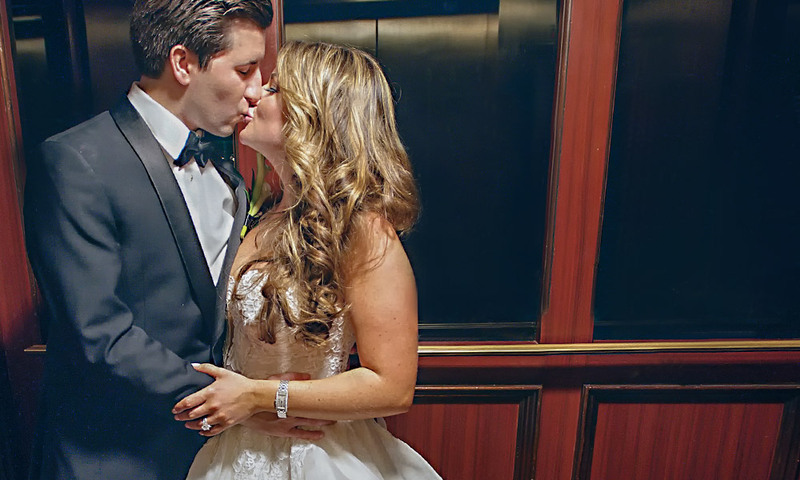 This ultra-romantic wedding day was created with lacy fabrics, lush florals, and glam jewelry. 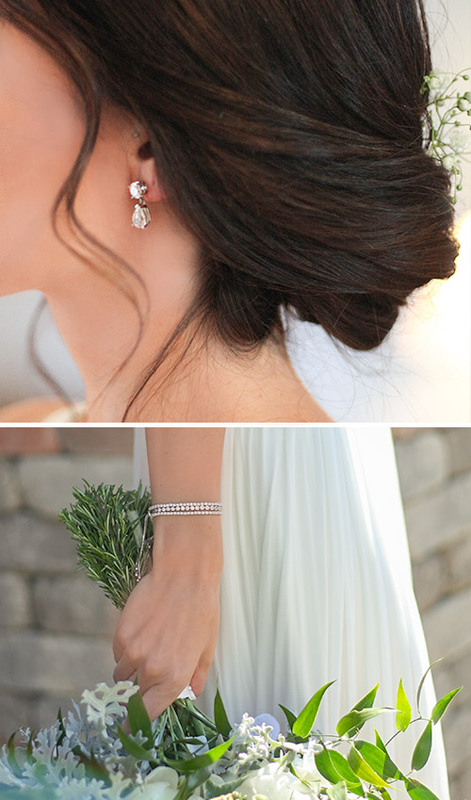 Michelle wore Dew Earrings and a single bracelet to complement her delicate hairpiece and elegant-yet-casual hairstyle. Aren’t they lovely? Tell us about your bridal style in the comments! Marina and Conner. That's my style too: Elegant and classy (for seasoned and/or mature traditional beauty).